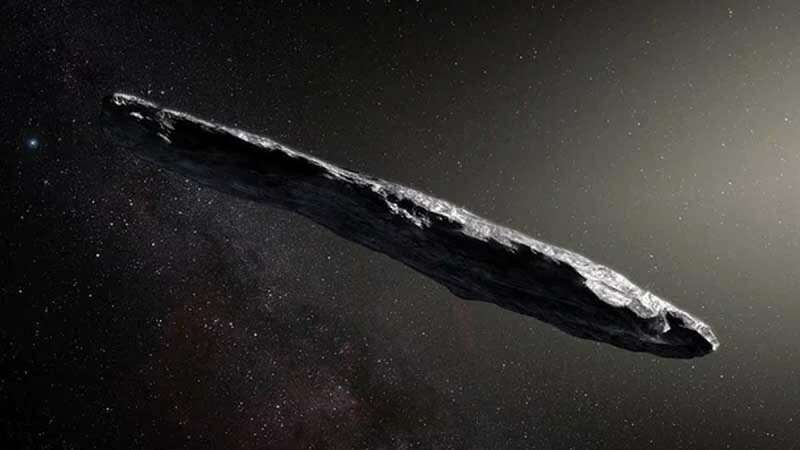 West Virginia : The scientists will be scanning a mysterious cigar-shaped interstellar object, named Oumuamua, that entered our solar system last month, for signs of alien technology. The interstellar body with a size of New York’s Empire State Building was spotted by the astronomers through the Pan-STARR telescope in Hawaii on October 19. Oumuamua is the first ever interstellar body that came inside our solar system boundaries. Now, astronomers have joined forces with Russian billionaire Yuri Milner to study the object in more depth before it sails beyond the range of telescopes. Scientists will first be testing it for the signs of radio signals to support claims it could be an alien probe. To check the same, they will be using the Green Bank Telescope in West Virginia, US to scan the body to establish whether it was “sent by an alien civilization”. "The more I study this object, the more unusual it appears, making me wonder whether it might be an artificially made probe which was sent by an alien civilization," Avi Loeb, the chair of Harvard’s astronomy department and one of Milner’s advisers on Breakthrough Listen, wrote in the email. The bizarre object is spinning on its axis every seven hours and is expected to zoom past Jupiter next year before Pluto in the 2020s. Scientists believe the space rock is made of alien metal and has been ravaged by cosmic rays over millions of years.